There’s little doubt that advancements in technology have made everyday life easier, both at home and in the workplace. The same holds true for manufacturers and distributors. Technology advancements continue to drive and transform supply chain automation. 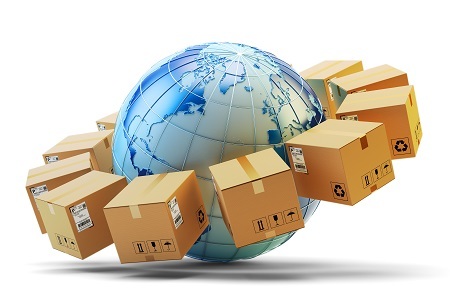 Every year, supply chain processes become increasingly automated, efficient, and cost-effective. Driving these changes are technology and software innovations that benefit the factory floor, distribution centers, trucking operations, the back office, and beyond. In this whitepaper, we’ll examine emerging trends and best practices in supply chain automation, as well as explore how advancements in business technologies — especially Enterprise Resource Planning (ERP) software — are helping manufacturers and distributors become faster and more productive. To that end, choosing and implementing the proper ERP system is crucial not only for the supply chain, but also for business success. Whether you are a small startup, a midsize manufacturing company, or a large-scale distribution center, today’s ERP technology can help automate office processes, inventory management, and supply chain activity. Most importantly, the right ERP can quickly lead to a significant boost in the manufacturing and distribution bottom line. We will explore how to evaluate different ERP platforms, as well as focus in on how ERP systems impact supply chain automation. Automation has arguably had the greatest impact on how manufacturers and distributors have conducted day-to-day operations, fulfilled orders, and delivered product over the last couple of decades. Advancements like robotics and cloud-based software provide a centralized approach to procurement, shipping, and inventory management. Another emerging supply chain trend involves the Internet of Things (IoT) — a system of linked devices with the ability to transfer data over a network without requiring human-to-computer interaction. Manufacturers and distributors are using IoT technology for highly sophisticated development projects, such as the embedding of sensors on equipment in order to receive data from the field. While collecting huge amounts of data is critical in today’s competitive business environment, the real challenge is in the interpretation of that data stream. Even though most manufacturing customers have sensors in place — and the ability to collect data — almost all of them lack the ability to analyze it, according to Davidson. Information gathered through IoT is an important tool for manufacturers. Instead of a reactionary approach to equipment maintenance, sensors can predict issues before failures occur, allowing technicians to take a proactive approach with predictive maintenance. This information also helps organizations fix small problems before becoming big, production-stopping, problems. Manufacturers also use real-time data tracking as an aid to evaluate operations and procedures in order to improve productivity. “We have customers doing some interesting things with IoT,” Davidson says. “They make a lot of devices to embed the ability to get metrics back from the field.” In one example, a customer embedded sensors in water filtration machines. The sensors now can relay a variety of data on the content of the water, as well as the number of gallons processed each month, allowing the company to more efficiently produce its filtration devices and replacement filters. No matter the company size, running a manufacturing or distribution business involves handling a multitude of moving parts—from inventory and order management, to accounting and customer relationship management, and beyond. This is where ERP software comes into play. In simple terms, ERP manages all of the various business functions into one complete system that helps organize the data for interpretation, analysis, and action. Many companies question the need for an ERP investment. The truth is, no matter your size, the right ERP system will help better manage business processes, improve supply chain automation, and ultimately improve the bottom line. In the supply chain management process, ERP can assist in several ways, such as with supply chain planning, purchasing and procurement, and monitoring and maintenance. The right ERP can offer order tracking, increased productivity, improved efficiency, and inventory optimization. The truth is, ERP software has come a long way since it first made an appearance on the scene in the 1980s and 1990s. When Davidson first started working in ERP, companies were primarily using Electronic Data Interchange (EDI) machines. They would receive orders, print them out on paper, and then the information would have to be input manually into the ERP system. “The biggest evolution has been that you can convert someone who was just entering orders into the system into someone with access to the entire business system,” Davidson says. Nowadays, companies evaluating or replacing an ERP system need to evaluate the additional functionality the system provides, along with a number of additional factors. When it comes to deciding on the best ERP system for your business, it is crucial to ask: Is the ERP system onpremise or in the cloud? The difference between a traditional on-premise ERP system and one that’s cloud-based is simple: Systems located on-site are installed on the company’s local hardware and servers and managed by in-house staff. Cloud-based ERP systems are hosted on a cloud computing platform and are software-as-a-service (SaaS) managed by the vendor through the internet, giving customers access to the ERP through a web browser anywhere they have internet access. So, what are the benefits of on-premise versus cloud ERP? Cloud ERP increases overall accessibility and allows users to share and transfer data across all departments in their business. In addition, cloud ERP is version-less because continual software updates are made by the vendor, meaning the system is always on the latest version. Finally, cloud ERP offers significant cost savings, eliminating the need for ongoing IT maintenance costs and often times, reducing or eliminating the need for an IT support staff. NetSuite, the first cloud ERP company, has been supporting manufacturing and distribution customers with their supply chain needs ranging from financial management and planning, warehouse fulfillment, procurement, inventory management, and more. Five years ago, the company began a deep dive into their own supply chain system to find out how services could be improved to enhance the customer experience. A group of Oracle NetSuite’s high-tech and consumer electronics customers were invited to NetSuite headquarters to map out their operations and supply chain processes. The companies worked together to identify where they felt the most pain in their everyday processes, and where an ERP system could make improvements. The customer group then prioritized the most critical of the identified problems. While Oracle NetSuite representatives anticipated the majority of the problem areas, a few came as a surprise, such as new product information (NPI) and documentation. Customers wanted tools that would alert them when a product or system was reaching the end of its life. They also wanted their suppliers to have access to the latest product drawing and specs on a 24/7 basis. From this input, product changes and improvements were mapped out and implemented. Since 2015, Oracle NetSuite has repeated this same customer input process several times over, each time with an increased number of participating customers. The end result? As the company rolls out new product functionality, it knows the enhanced solutions will solve its customer’s most urgent problems. The information in this report was researched and produced by Industrial Distribution in conjunction with NetSuite. Based in San Mateo, CA, Oracle NetSuite is the leading cloud ERP provider, whose platform includes financials, customer relationship management (CRM), inventory management, ecommerce and more. Over 40,000 organizations and subsidiaries around the world run on NetSuite.